There are large numbers of hotels near Secunderabad Railway Station as it is one of the main transit hubs in Hyderabad for people coming from outside the city. You can choose between high-end and budget hotels near Secunderabad Railway Station as per your preference. If you are going for the latter option, then you may book a room at FabHotel Comfort Inn, which has comfort-inducing rooms equipped with all modern amenities. As an alternative measure, you can also go for economy hotels near Begumpet Airport, such as FabHotel Hallmark and FabHotel Hill View III. Situated in the northern part of the City of Pearls, Secunderabad Railway Station is the primary railhead in Hyderabad. Officially named Secunderabad Junction, it currently has 10 platforms, with each used for different types of trains. Platforms 1, 2 and 10 are primarily utilized for Rajdhani, Express, Mail and Superfast trains. Intercity trains usually operate from Platforms 3, 4 and 5. Most regional and special trains stop, originate or terminate at Platforms 8 and 9. Platforms 6 and 7 are mainly used by suburban trains. Major destinations directly connected to Secunderabad Junction are Ajmer, Jaipur, Mumbai, Delhi, Chennai, Visakhapatnam, Kolkata, Guwahati, Bhubaneswar, Goa, Thiruvananthapuram and Pune. 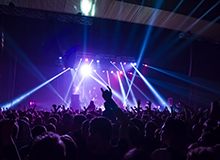 Owing to the high footfall of people in the area, there are many shopping hubs near the railhead, such as Nala Bazaar, SKP Market, Sayam Market and Ratnadeep Supermarket. Travelers staying at luxury or 3 star hotels in Hyderabad near Secunderabad Railway Station can check out a number of dining venues in the area. Alpha Hotel, Jaya Rao’s Tiffin Centre, Green Paradise, Biryani House, AP Fast Food, Raj Restaurant & Bar, Sri Jai Bhavani Fast Food, Swapna Deluxe Mess, Hotel Swathi, AR Mess, Hotel Sandarshini, Akshaya Tiffins & Fast Food Centre, Swathi Tiffin Centre, Asoka, Sri Sai Tiffins & Meals and Hotel Mustafa are the most popular restaurants near Secunderabad Railway Station. Owing to its significance as a major mass transit hub, Secunderabad Railway Station is easily reachable from all around Hyderabad. You can take buses and taxis from all parts of the city to reach it. It is also accessible via the Secunderabad East station of Hyderabad Metro. Rajiv Gandhi International Airport, one of the largest and busiest air transport hubs in the country, is 34.8 km away. 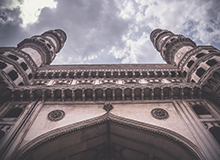 You can take flights and trains to several places in the region, such as Vijayawada. Among the best pocket-friendly hotels in Vijayawada is FabHotel Essvee. "Very clean. 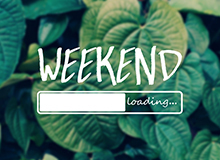 Strong WiFi and fantastic staff"
"I like the room and the staff is very polite and helpful specially when you are firstcomer and later also.i dont feel i am away from home when i am actually away from home. In my view this is the best room i ever stayed for the price paid . 10 out of 10 from my side." The city business hub of Hyderabad is Gachibowli, whereas the main railhead for the city is Secunderabad Junction. These two are 22 km apart. It takes 1 hour to reach Gachibowli from Secunderabad Railway Station. 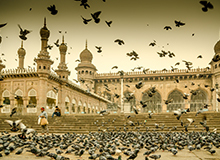 Q:Which are the most happening shopping markets in Hyderabad? A: Shoppers will never be disappointed as there are loads of places in Hyderabad for them to indulge in retail therapy. Koti, Begum Bazaar, Nampally, Tobacco Bazaar, Laad Bazaar, Moazzam Jahi Market, Perfume Market, Shilparamam, Abids, Sultan Bazaar, Antique Market, Pot Market, Secunderabad Central Bazaar, Chor Bazaar, Gudimalkapur Flower Market, Charminar Bazaar, Gowliguda, Ameerpet Junction and Monda Market are the most happening shopping markets in Hyderabad. 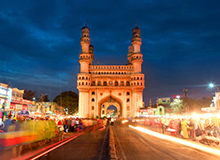 Q:Which are the authentic cuisine to be tried and tasted in Hyderabad? A: Hyderabad is renowned for its spicy Andhra cuisine, comprising a lot of non-vegetarian preparations. The popular dishes to try and taste in Hyderabad are Panasa Pottu Koora, Gutti Vankaya Kura, Kandi Podi, Gongura Pachadi, Ulava Charu, Pesarattu, Ragi Sangati, Natu Kodi Pulusu, Akura Pappu, Royyala Vepudu, Gongura Mamsam, Pootharekulu, Pesarattu Upma, Pulasa Pulusu, Bongulo Chicken, Golichina Mamsam, Royya Pottu Charu and the world-famous Hyderabadi Biryani. Q:Which are the most popular eating joints/restaurants in Hyderabad? 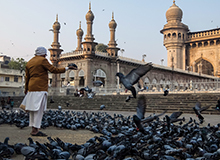 A: Hyderabad is a paradise for foodies, thanks to its flavorful local cuisine. Bawarchi, Chutneys, Dakshin, Minerva Coffee Shop, Gufaa, Kangan, Olive, Sahib Sindh Sultan, Blue Fox, Flechazo, The Fisherman’s Wharf, Nautanki Gali, CIBO House, United Kitchens of India, A’La Liberty, Village, Beach House, Silver Metro, Serengeti, 1857 and Sholay are the most popular eating joints/restaurants in Hyderabad. 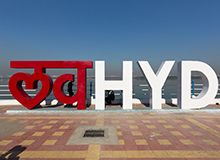 Q:Which are the short trip destinations from Hyderabad? 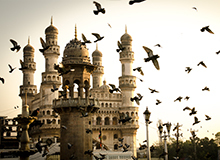 A: There are quite a few places you can enjoy a short trip to when in Hyderabad. These include Warangal, Mahabubnagar, Nagarjunasagar and Bidar. 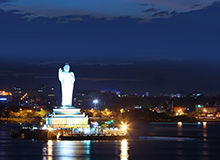 Q:What is Nagarjunasagar famous for and how can we travel to Nagarjunasagar from Hyderabad? A: Nagarjunasagar is famous for its scenic views and calm surroundings. 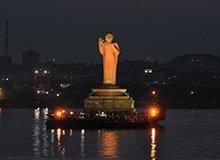 Buses and taxis are available from Hyderabad to reach Nagarjunasagar.